AVATAR, for many, is just an American movie about war between the humans and some strange creatures that own a strange living forest that is full of life power. The movie shows us that the American army does not care about humanity, shedding light on how the bad decisions of the highest management of the world can ruin the innocents’ homes and history (American effrontery) and how deceived are the American people! 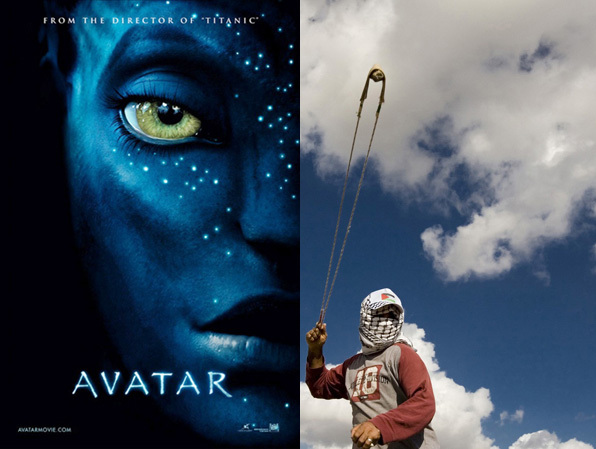 Please go and watch AVATAR and consider that you are looking at a movie about the Palestinian people, whose tree and home have been uprooted – just like the tree and homeland of the aliens in AVATAR!